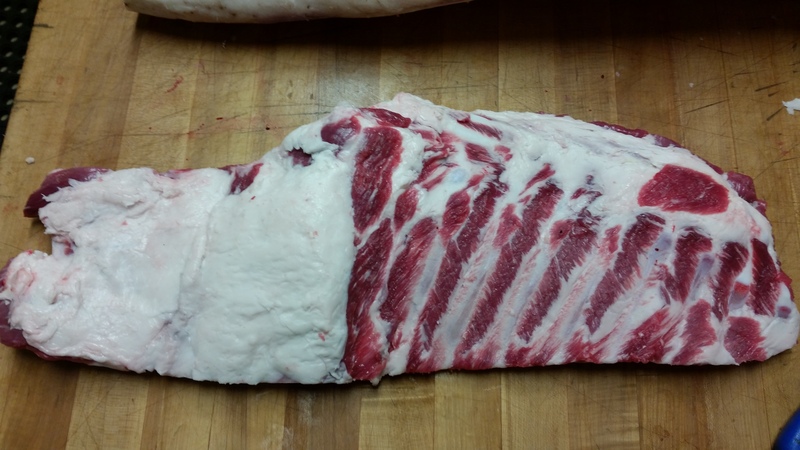 We are proud to now offer pork from House Hogs farm in Davis, CA. 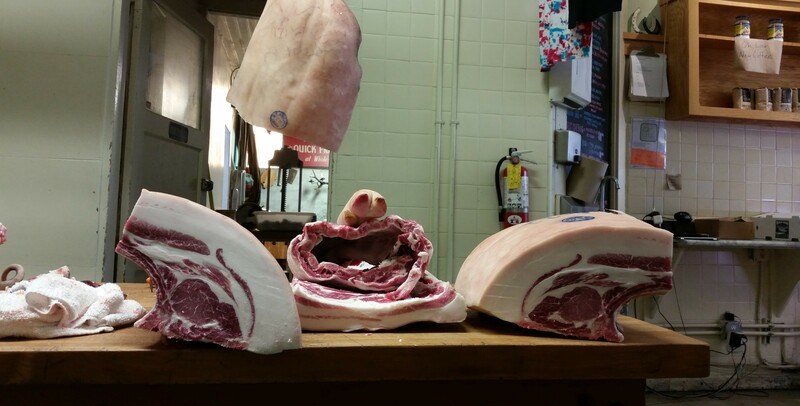 House Hogs is a family owned and run farm that specializes in Mangalitsa and Berkshire breeds of pork. Our Hogs are systematically rotated around our 40 acre CCOF certified organic farm, living their entire lives upon lush pasture. Daily grazing upon a diverse plethora of vegetation beneath our old growth walnut forest, the hogs forage through clovers, beans, peas, vetch, oats, grasses and walnuts that fall from the trees. These are the treasures that our pigs enjoy rooting with snouts free of rings or clips. Organic Diet – In addition to pasture, the herds are supplemented with milled wheat and barley soaked in organic whey from Cowgirl Creamery. Pumpkins, tomatoes, melons and many other types of organic produce we obtain from neighboring farms such as Eatwell Farms, Durst Organics, and Capay Organics are fed to the pigs. No GMO or Antibiotics – We abstain from feeding corn or any other GMO crops, we never use antibiotics, growth hormones or synthetic wormers of any kind. We never clip teeth, dock tails, or use rings to prevent rooting. All of these humane practices provide our hogs with stress-free lives according to their natural behavior. 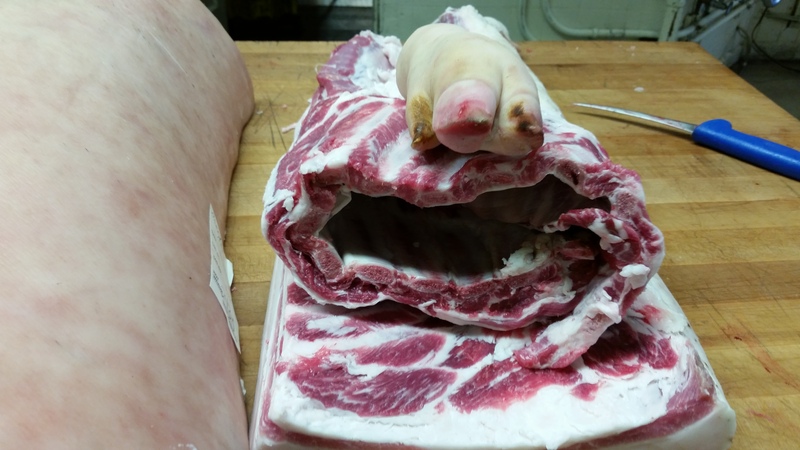 Photo Credit: Jason Wilcox, one of our butchers at Avedano’s shares these beautiful pictures of his afternoon butchering a hog from House Hogs in Davis.